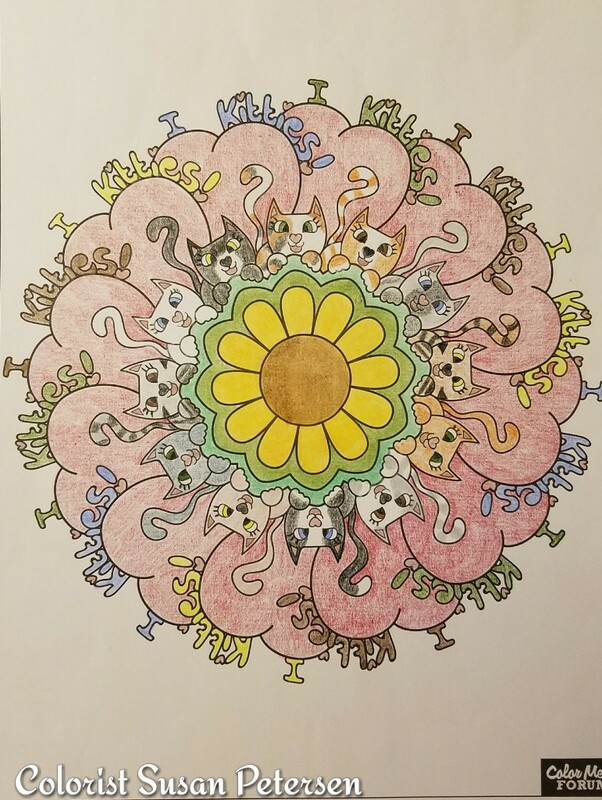 Show off your love for kitties with this cute I love kitties mandala! You can get creative, giving each kitty its own look, or just show off your favourite kitty again and again! Yay for kitties! Being a crazy cat lady, I knew I had to do this one. It was cute and fun. Plus it was challenging to see how many cat breeds I could put in. I just really enjoyed this picture. 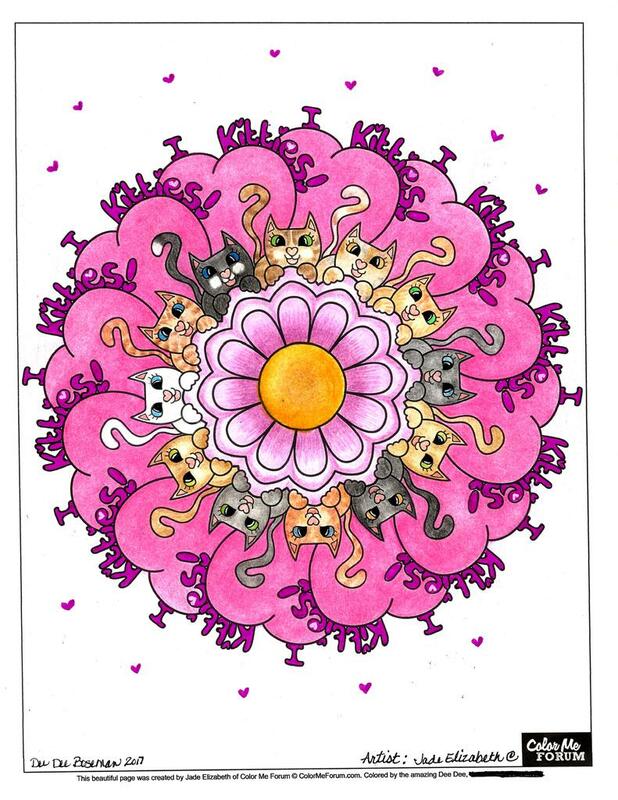 Being a cat lover, heart lover and a mandala lover, how could I go wrong!! This page was so much fun to color!! It could be colored by just about any skill level and is sure to put a smile on your face. Here's a picture of my finished page.